Hacking provides an introduction to the community of hackers and an analysis of the meaning of hacking in twenty-first century societies. One the one hand, hackers infect the computers of the world, entering where they are not invited, taking over not just individual workstations but whole networks. On the other, hackers write the software that fuels the Internet, from the most popular web programmes to software fundamental to the Internet's existence. Beginning from an analysis of these two main types of hackers, categorised as crackers and Free Software/Open Source respectively, Tim Jordan gives the reader insight into the varied identities of hackers, including: * Hacktivism; hackers and populist politics * Cyberwar; hackers and the nation-state * Digital Proletariat; hacking for the man * Viruses; virtual life on the Internet * Digital Commons; hacking without software * Cypherpunks; encryption and digital security * Nerds and Geeks; hacking cultures or hacking without the hack * Cybercrime; blackest of black hat hacking Hackers end debates over the meaning of technological determinism while recognising that at any one moment we are all always determined by technology. Hackers work constantly within determinations of their actions created by technologies as they also alter software to enable entirely new possibilities for and limits to action in the virtual world. 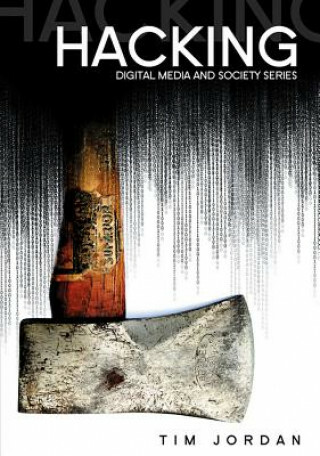 Through this fascinating introduction to the people who create and recreate the digital media of the Internet, students, scholars and general readers will gain new insight into the meaning of technology and society when digital media are hacked.